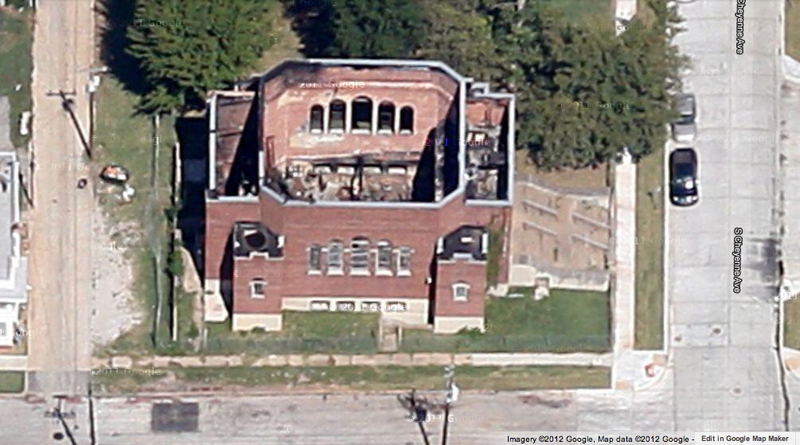 I’ve always wanted to buy an old church to live in (imagine the wonderfully large open space the sanctuary would make). 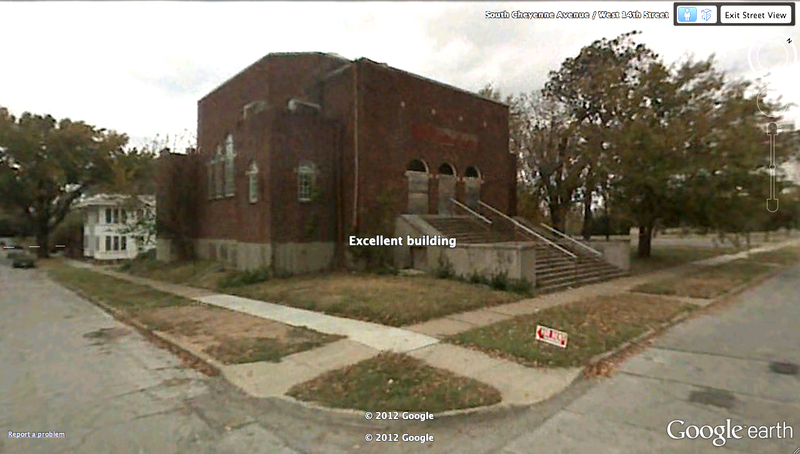 And I thought I’d found it on GoogleEarth Streetview; I even labeled it as an excellent building. It looks like it has a side yard, which is good, and a parking lot. There’s just so much possibility here. So I started doing a little more research into this corner of Tulsa. 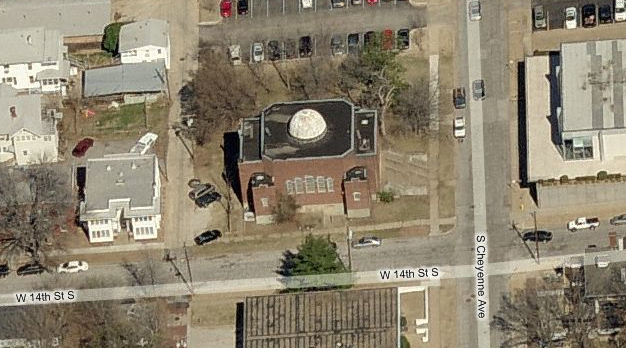 Bing maps reinforced my wishes by showing a domed roof! I was already starting to draw up the renovation plans. But then Google Maps dashed these, my wildest dreams. I really did consider the cost of building a new roof and what kind of grants would be available for this kind of project, but that thinking didn’t get very far because I couldn’t really decide what kind of project this would be. But with the roof burned off you can see how great the main space is (was).